From the Schwarz family’s 1968 planted block in Bethany. Wild yeast and whole bunch ferment. Basket pressed and unfiltered. Proper handling there. Tick tick tick. Dense purple coloured, it’s another clever Schwarz red. Inky black fruit, an injection of licorice and then horsehair and slow cooked beef with some whole bunch spice. Deep and obviously generous flavours, yet savoury and chewy too if a bit warm. 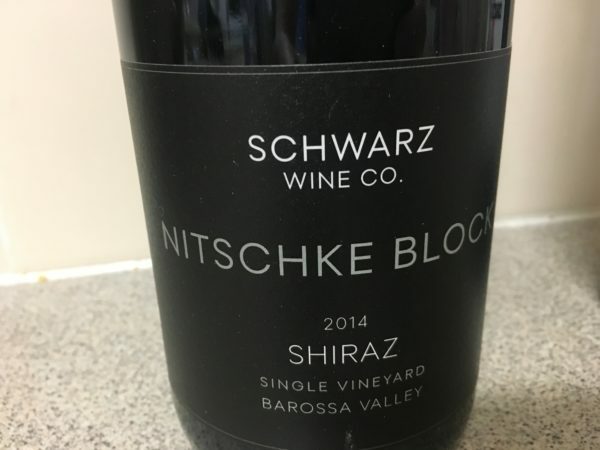 A Barossa Shiraz of substance, that moves away from the ‘chocolate and plum’ Barossa prototype. Maybe a little meaty and less super polished, but this has an authenticity that I really like. Best drinking: 2016-2030. 18/20, 93/100. 14.5%, $40. Would I buy it? I’d buy a bottle off a list. Would satisfy with something meaty.